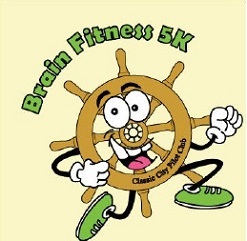 Join us for our Annual Brain Fitness 5K in Athens, GA presented by the Classic City Pilot Club. This years race is being run in memory of Diane Roberts, our race director from previous years. Please note the location for this years race, Sandy Creek Nature Center. The course will be out and back along the paved greenway. Pilot International was founded in 1921 in Macon, Georgia. Pilot Club service projects and fundraisers benefit the local community. Hands-on service projects emphasize Brain-related disorders, disabilities, and Brain Minders. Shirts and Goodies: T-shirts will be given to participants who pre-register by August 1, 2018. Registrations after that date and on race day are not guaranteed a shirt or size. There will be plenty of refreshments. Series Affiliation: The race is part of the 2018 Black Bag Race Series, the Clover Glove Series and the Run and See Georgia Grand Prix.